Free skating is available right in Longville. 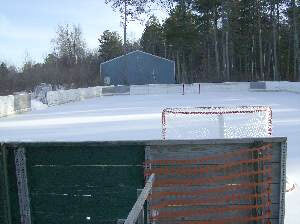 The Longville Ice Skating Rink is located just outside of town at the new park. Go south on Hwy 84 and the rink with be on the northwest side of the road. 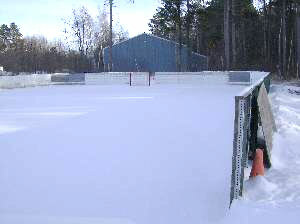 Open Hockey: The Warming House is open on Wednesdays 5:30 to 9 PM for hockey. The Warming House has dozens of pairs of skates for free public use. They have been donated over the years and are sharpened every fall. The ‘Longville Women of Today’ have donated benches for public use for skaters of all ages. You’re invited to come and enjoy one of Longville’s secret recreational facilities.